Crystal Grids- How To Make A Crystal Grid. Crystal grids can be more powerful than using just a single crystal for an intended goal. Crystal grids are made by the intentional placement of stones or crystals in a geometric pattern for the specific purpose of directing your energy towards a goal. The stones or crystals are then charged by your intention and energy. Remember that grids can be used for simple goals like better sleep to something more elaborate like world peace. The combinations that you are able to create are endless, and will depend only on your specific purpose for the grid. Whatever your intention, your crystal grid will be an effective use of crystalline energy when created only with your highest intentions. You may incorporate tumbled, rough or faceted stones to be centered around the "Master Crystal". This master crystal will act as the primary energy force for the grid. 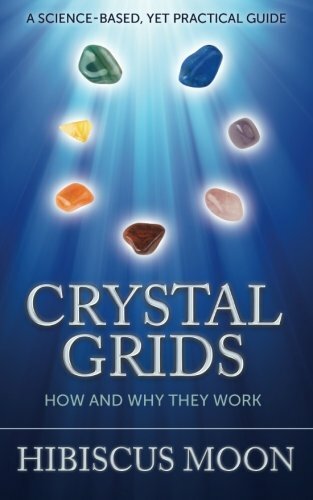 There are many wonderful books on the subject of crystal grid making. Here are a few titles that I have found useful, offering grid designs for love, prosperity, as well as emotional healing. Some metaphysical stores will also carry pre-made crystal grid kits, usually in sacred geometrical patterns that may be useful for some who are just getting into crystal grid making. There really is no wrong or right way to create your personal crystal grid. Trust your intuition on creating the perfect grid that will aid you in the best way possible.